The Kennedy Center will be showing the award-winning musical, “The Music Man,” at the Eisenhower Theater on February 6-11. Winner of six Tony Awards, the musical stars Norm Lewis, Jessie Mueller, Rosie O’Donnell, and features 28 performers and 20 musicians. 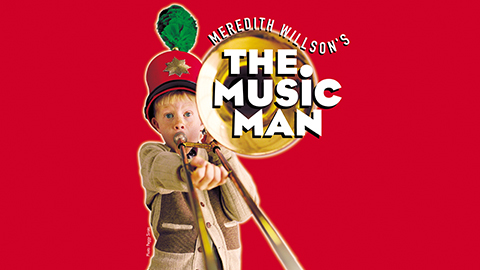 The musical follows the journey of a traveling salesman Harold Hill as he cons the people of River City, Iowa, making them buy instruments and uniforms for a boys’ band that he promises to organize, even though he can’t tell musical instruments apart. “His plans to skip town are foiled when he falls for Marian, the town librarian,” says the musical brief. Directed by Marc Bruni, the musical is choreographed by Chris Bailey. Musical direction is by James Moore, and set and projection design by Paul DePoo. Amy Clark has done the costume design, with lighting design by Cory Pattak and sound by Kai Harada. The Broadway Center Stage performances are presented as semi-staged concerts, and the actors can carry scripts. The musical is recommended for ages seven and above, and it runs for about two hours and 40 minutes with a 20-minute intermission. The tickets are priced $69-$249 and can be purchased here.